“I think there must be something wrong with me, Linus. Christmas is coming, but I’m not happy. I don’t feel the way I’m supposed to feel.” Charlie Brown and the Grinch have something in common, the lost meaning of Holidays. For the Grinch, being mean transfers his lack of joy on others. For Charlie Brown, the holidays are things he suffers mostly in silence and endures. Are you like the Grinch or Charlie Brown? You aren’t alone. 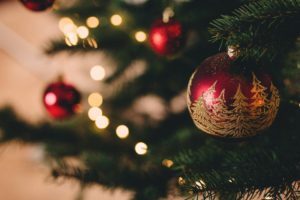 The holiday rush is a time when many people express to me unequivocally that they “hate the holidays.” When pressed, they tell me that they really love the gathering and the festivities; it’s the work they hate. They feel obligated to do things they don’t want to do or don’t feel supported in doing those things. We spend some time considering how they might want to choose what they do and create holiday rituals that create joy instead of drain them. Sometimes changing things up is part of the answer. Think about what is really important about the holidays and think about curtailing some activities or tasks if they bring more aggravation than joy. Even if you do that, you also need to ask for the help in doing all those holiday things. But there’s a right way and a wrong way to do that. Don’t be resentful. Ask for what you need instead. In my line of work, I help couples raise issues in their relationship that are sometimes conflictual. That includes the holidays. Dr. John Gottman, well known for his research in relationship stability and divorce prediction and cofounder of the “Gottman Method” of therapy I practice, found that couples who stay together are gentlewhen they bring up a concern or issue in their relationship and they ask for what they need. How we ask for what we need creates opportunity for connection with those we love. When we don’t ask for what we need, we can feel disconnected and resentful. That leads to problems sooner or later. Broader requests are not as good as specific ones. Let me give you an example from my own Thanksgiving dinner. Several people were standing around doing nothing. I could have yelled “help me!! !,” but that would neither be polite nor asking for what I specifically needed. Instead, I asked those standing around to please cover the leftovers with aluminum foil. Seems so minor but even that asking matters because if I hadn’t, I could have felt angry that people weren’t helping and could have felt overburdened. Instead I felt supported. Practice this, and maybe you too can rediscover the joy of the holidays like Charlie Brown or the Grinch.